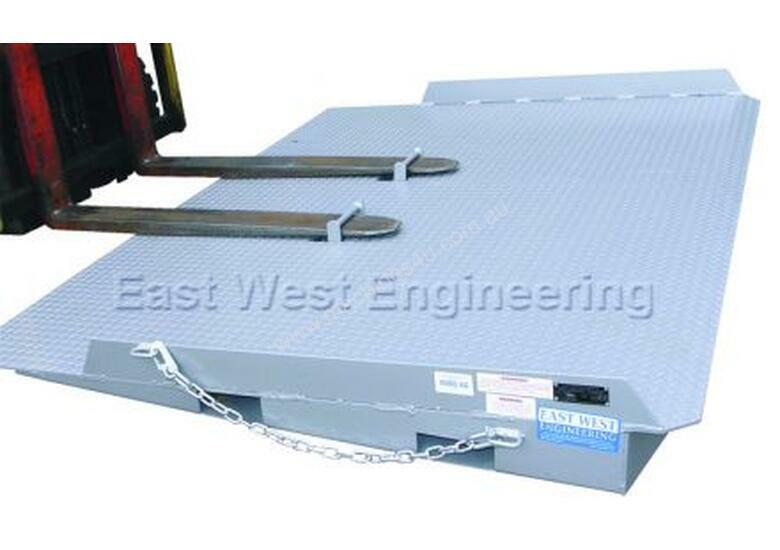 The type CRSN8 Container Ramp has been designed for fast positioning and removal. 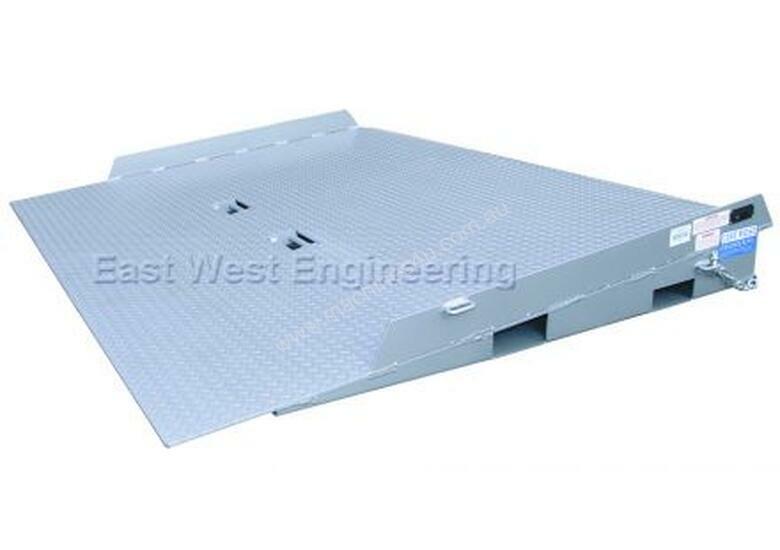 Fitted with pockets each side, plus flip-up front tine pockets, this ramp can be manoeuvred in confined spaces. Raised side plates ensure the Forklift remains on the ramp. The tread plate decking is fully gusseted underneath to eliminate fatigue. 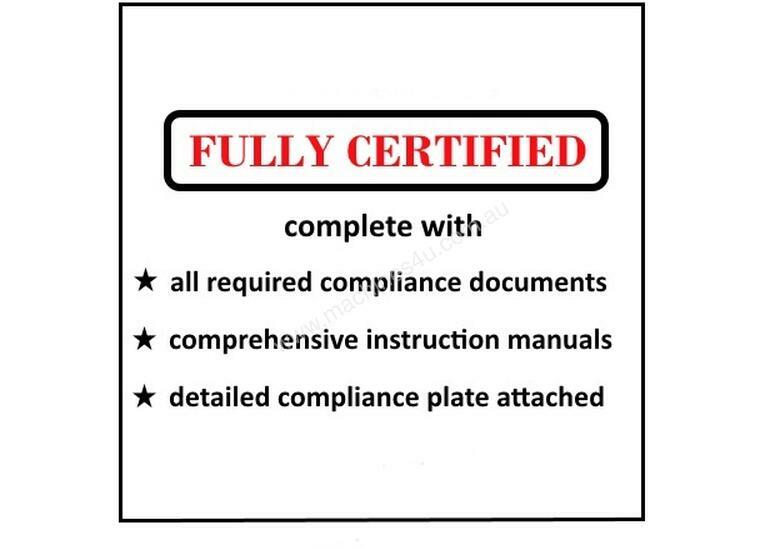 Securing safety chains both sides of the ramp prevent unintentional disengagement of the ramp from the container.